Are your gutters old and rusty? Do they sometimes leak or overflow when it rains? If your answer is yes to any of these, then you might need to think about gutter replacement. When it comes to gutter replacements in Brisbane, there is nobody better than Strongguard. 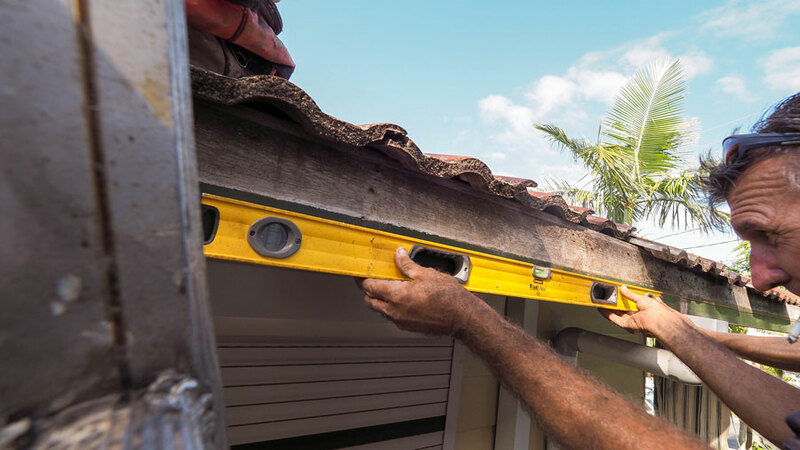 We offer high quality gutter replacement Brisbane wide and throughout Southeast Queensland. 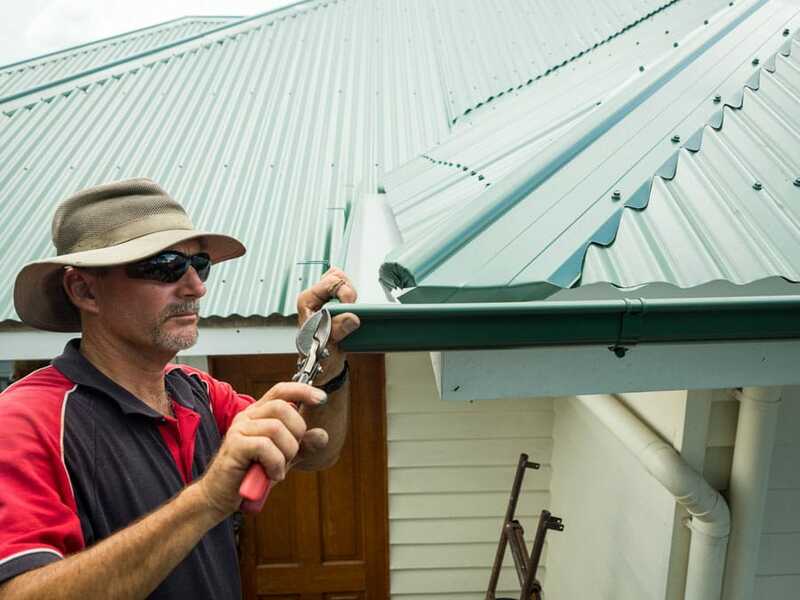 Each of your replacements is done using only the highest quality COLORBOND® steel gutters. We aim to deliver long-term solutions and with COLORBOND® steel, we’re confident your gutter will stand the test of time. Roofs come in all shapes and sizes, which is why we offer a range of gutter profiles to match. We will assess your roof and select the right guttering profile to suit your roof. Once selected, we will install it with the correct falls. This will ensure that you get excellent drainage, in all weather, for many years to come. Normally, standard guttering lasts no longer than 30 years. Constant exposure to the weather and water results in rust and general deterioration. This is why gutter replacements are so important. To work properly, your gutters must be angled correctly. Furthermore, the guttering profile must be consistent with the size and design of your roof. If these factors are off, then your gutters won’t drain correctly. Not only this, but they will also collect water in certain areas. This will, in turn, lead to rust patches and leaks. When the heavy rain comes, you might also find that your gutters overflow. At Strongguard, we will make sure that none of this is a problem for you. We combine leading edge materials with quality workmanship, to produce the best guttering solutions in Brisbane. Our team will start by identifying the correct gutter profile for your home. We will then source brand new gutters that match this profile. 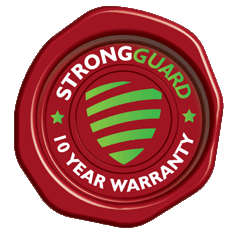 Here at Strongguard, we aim to provide you with personalised service. We know that everyone’s needs are different. In terms of guttering, your needs depend on the size and design of your roof specifically. That is why we have a team of expert estimators. Our estimators will take precise measurements of your roof to provide you with the best possible guttering solutions. This minimises waste and allows us to give you an accurate quote. The first thing we do when we commence your Brisbane gutter replacement is set up our access equipment. Safety is our priority when working at heights, so we are careful to assemble all of our work platforms and scaffolding correctly. Once these have been set up, we will begin removing all of your old guttering and downpipes. We will then use a stringline and level to set out the new coloured spike brackets or internal concealed brackets. These will be installed with new falls to the downpipes. With the brackets in place, we can install your new COLORBOND® steel guttering. We perform all of our installations to an unrivalled standard of quality. Our aim is to provide you with a guttering solution that will last well into the future and our installation is a large part of this. We pop-rivet and underseal all joins and corners on your guttering. This is vital, as it allows the installation to expand and contract as the temperature fluctuates. This ensures a weatherproof seal. Once your guttering is all correctly fitted, we will connect the downpipes. Depending on what you want, we can run the downpipes to either stormwater drains, or rainwater tanks. In either case, we will ensure that they are connected securely so that all your water drains exactly how you want it to. Finally, we will clean up all the scrap materials. This includes disposing of old guttering and debris. New guttering can improve the drainage of your home, while adding to its overall aesthetic appeal. 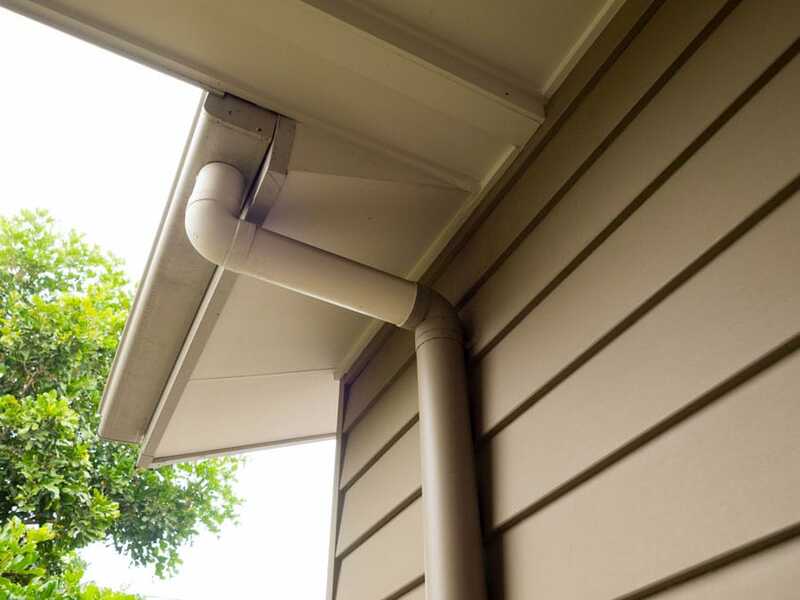 Here at Strongguard, we offer complete gutter replacements with high quality installation and leading edge Australian materials. For all this and more, contact us today. You can reach our friendly staff over the phone or you contact us online through our online form. #1 Can you completely re-fall all of my existing gutters? Here at Strongguard, we are equipped to undertake all gutter maintenance and replacement jobs. As a part of this we can re-fall your entire gutter. Our team understand the importance of correctly falling gutters. We also understand how to make this happen. However, we do not recommend a complete re-falling if you have an old guttering system. Performing a complete re-fall of your gutters is quite a big job. As a result, this is often close to the cost of a complete gutter replacement. This is because of the labour-intensive nature of re-falling. Instead of getting a complete re-fall for your old gutters we suggest replacing them all together. In the long run, gutter replacements are often far more cost effective than re-falls. This is because a replacement will bring you the benefits of a brand new COLORBOND® steel gutter, as well as the re-fall. These products are Australian made and built to last. When we install them we will ensure that the profile is ideal for your home, and the fall is correct. This means you get all the advantages of a re-fall, plus much more. #2 Would you recommend replacing my entire gutter if it is only rusted in one part? Here at Strongguard, we don’t take shortcuts when it comes to quality. We believe that if a job is done right, it will only needs to be done once and it will be more cost-effective in the long run. For this reason, we always suggest a gutter replacement if there are signs of rust in your guttering. Even if the rust is restricted to one section, it is still evidence of a greater underlying issue. Rust is usually a sign that water is pooling in your gutters. This could be attributed to a number of different things. Sometimes, it occurs when gutters aren’t maintained regularly. Leaf litter can sit in the gutters and trap moisture, which then causes rust. Alternatively, rust can be a sign of problems with the fall of your gutter. This is probably the most common reason, and it means that your gutter needs a re-fall. Because a gutter re-fall is such a large job, we always recommend complete replacement as a more cost-effective solution. #3 Is there a chance that I need more downpipes? The number of downpipes you need really depends on your house. Many older homes do not have enough downpipes. This is because they were constructed before the introduction of stormwater systems. In these cases, you might need more downpipes and we can help you with this. In other instances, you might be experiencing flooding or overflowing for entirely different reasons. If your gutters are not draining properly, then chances are that your gutters are not falling correctly. This is usually an issue caused by poor installation, or gradual deterioration. If you get in touch with us, one of our estimators can provide you with a more detailed report. #4 I have a very tall building with high gutters – will this be a problem for you? Here at Strongguard, we specialise in gutter replacements and roofing services for domestic and commercial clients. This means that we are prepared to undertake gutter replacements at any heights. Our team has a lot of experience working at varying heights. In addition to this, we have a wide range of specialist equipment that will ensure our safety throughout the job. Our scaffolding, elevated work platforms and booms can get us up to any job in Brisbane. #5 My gutter leaks between my home and the deck. What does this mean? This is one of the most common guttering issues that we encounter. It can mean any number of things, but usually it suggests that there is an issue with how your patio attaches to the house. To address it, we can simply redesign your gutters and flashings, with high quality alternatives. We use the most advanced and effective installation techniques and when these are coupled with our quality materials, you have a guaranteed fix.